Daggers For Teeth "Secrets – Version 3"
Craig Robson is putting a serious hurting on my wallet with his recent wave of limited releases. 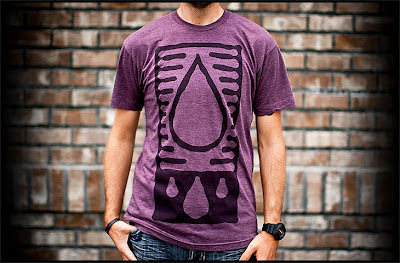 These pieces sell out so fast; the newest version of his “Secrets” t shirt may be gone by the time you read this post. The truffle colorway marks the third release of this design. The black aqua version of this t shirt is still my favorite (unfortunately I missed out on picking it up), but I don’t think that would hinder me from purchasing this newest one. Get yours before it’s gone from the Daggers For Teeth store.